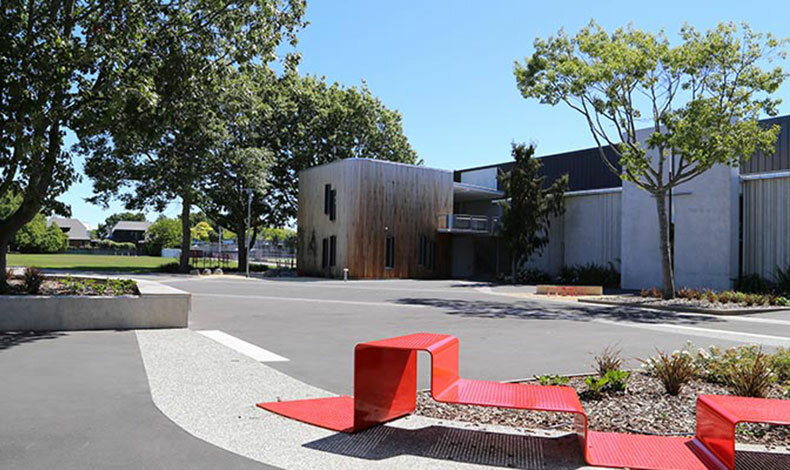 The Christchurch earthquakes five years ago presented an opportunity for St Margaret’s College to develop a campus environment which supports the school’s vision to strive for excellence in all that they do. After the damage caused by the earthquake, the school decided to make the best of the situation and use the opportunity to reshape the entire campus environment to meet the needs of the students and support innovative learning. The challenge in this project was keeping the school operating during the redevelopment process. Boffa Miskell, in partnership with Athfield Architects, developed the master plan for the school. The school believes that learning is not confined to the classroom, so the masterplan provides a range of external and internal spaces designed to encourage interaction between staff and students, support youthful creativity and provide opportunities for learning. The campus has been developed around ‘a necklace of outdoor rooms’. The layout of the site has been innovatively considered to ensure that way-finding is natural, instinctive and without a need for signage. A central spine runs down the axis of the site with a large gathering square in the centre, known as the Winchester Precinct. This area was made the highlight of the redevelopment; providing a setting for formal events where the whole school can gather together. The precinct is framed by highly frequented buildings including the Music Department, Preforming Arts Centre, Administrative Building and the classrooms. The space features large trees, custom designed furniture and a central paved space. More intimate spaces were created surrounding the Winchester Precinct that connect the school together. Students at St Margaret’s range from pre-school age through to high school ages. One of the challenges of the design was to accommodate the wide range of needs of all the students and teachers. The junior, middle and senior schools all have very different spatial requirements. The masterplan was developed to accommodate each set of requirements of the three schools, yet allowing for visibility and integration between the three schools as one unit. This project has turned a catastrophe into a new opportunity for the students at St.Margaret’s College.